Good news for people who’ve been thinking it’s a little too noisy on the Western front lately: Variety is reporting that a new movie adaptation of World War I drama All Quiet On The Western Front is in the works. 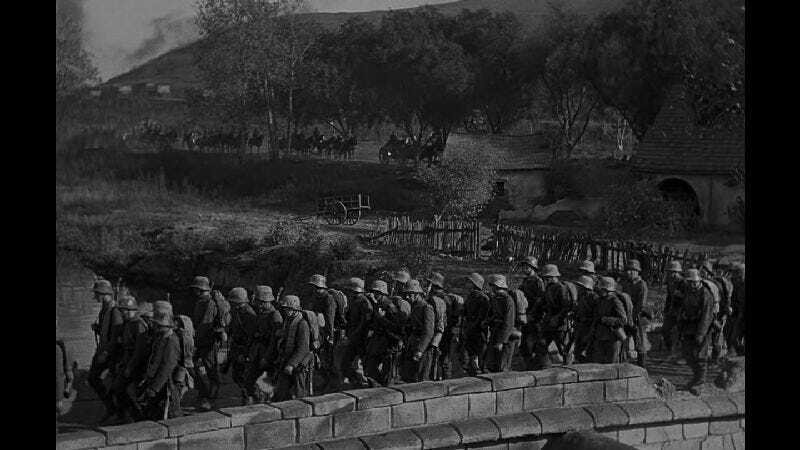 And, since the original 1930 film won the Oscars for Best Picture and Best Director and is considered a classic of the war genre, it’s only natural that the new version should be brought to you by the director of Cocktail. Based on the 1928 novel by Erich Maria Remarque, it will be the first feature script by Lesley Paterson and former Washington Post reporter Ian Stokell, who hopes to “capture the gritty realism and unforgiving nature of trench warfare.” Director Roger Donaldson, on the other hand, has directed almost 20 films, including Dante’s Peak and the aforementioned Tom Cruise/Beach Boys mashup. He also directed the Natasha-Henstridge-fucks-and-eats-dudes thriller Species, which should make the horrors of war seem like a walk in the park.